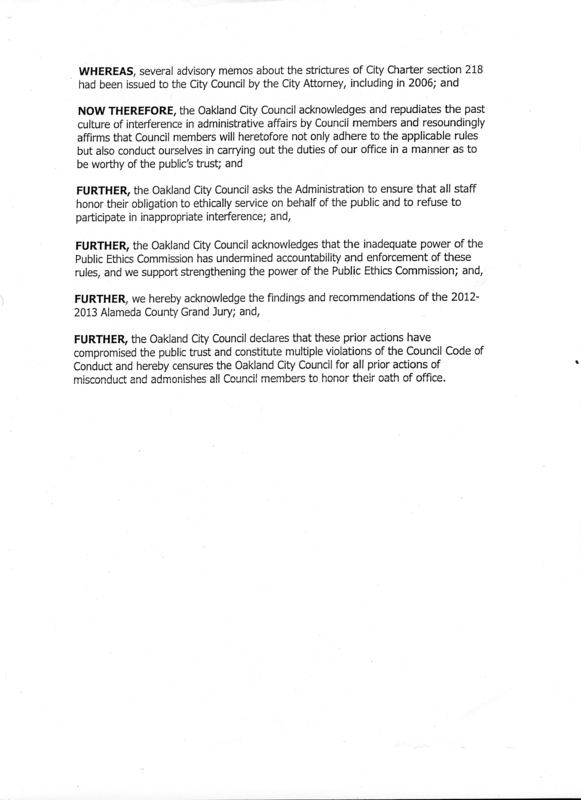 On 25 July 2013, an Oakland City Council meeting ethics battle, instigated by councilmember Pat Kernighan in her scheme (supported by member Libby Schaff) to demonize councilmember Desley Brooks, claiming she had committed an ethics violation in her efforts to serve her constituents. Councilmember Larry Reid and several others, along with many Oakland residents in attendance, made alot of noise about the decades long culture of abuse of authority and complete disregard for ethics. 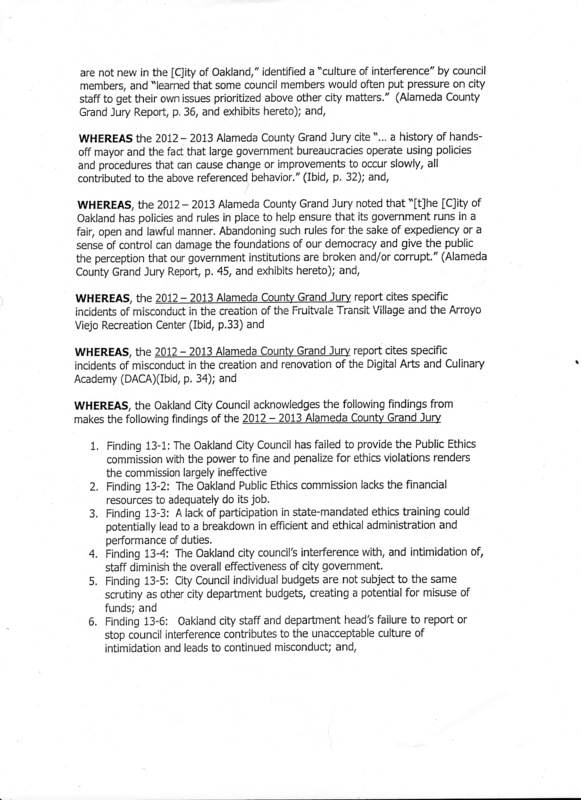 During this often hilarious exchange of ideas and thoughts about this issue, councilmember Lynette McElhaney produced this document, attempting to put an unnoticed motion on the table. 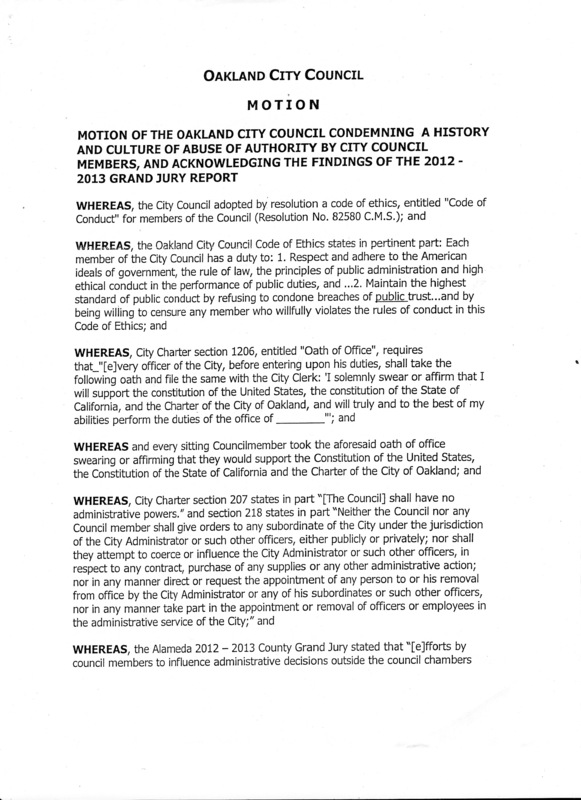 While it became clear that her motion was improperly made, it was an effort to acknowledge the truth and persuade council members to take responsibility for the problem as a group, instead of allowing Ms. Kernighan to scapegoat Ms. Brooks for something she not only did not do, but which other council members do regularly. Here is her proposal from that meeting. This entry was posted in true stories on August 14, 2013 by wiseoldsnail.